Love business news and investing? 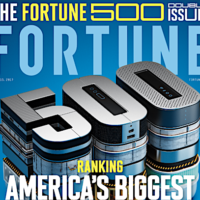 Go score a FREE Subscription to Fortune Magazine, courtesy of Mercury Magazines! Prepare to give some info on your profession or under industry choose Other then select Homemaker if you’re a stay at home parent and be sure to skip the second page about work questions because it’s optional. You can have the magazine mailed to your home. Make sure to say “No Thanks” to any offers. If you receive a renewal notice, ignore it, it is not a bill. Allow 6 to 10 weeks for delivery!